Finishing fourth at world championship race is of course a great result and I am very proud of it!!! Congrats to the winners!!! Even though that fourth place is ok it is also the most bittersweet placing you can have. In addition to having to deal with that bittersweetness I am not super satisfied with my performance of the day. At the start of the swim I did not manage to get to the strongest group despite I pushed hard at the beginning. Therefore I led the second chase group the whole swim and came out of the water around five minutes behind the lead group and two minutes behind the first chase group. A good swim was my biggest goal going into this race and I was quite disappointed with myself when coming out of water. It was a big job to try to get over the disappointment and frustration but there was still two disciplines to go and I was able to gather all my sisu as soon as I reached my bike. Soon after transition I was chasing the leaders alone and was riding the whole 120 km by myself. The legs felt strong and I did my best to push with the bike although the whole biking experience was freekingly lonely as I never saw any of my competitors and only once heard some time splits. However, in T2 the difference was more or less the same as it had been after the swim. When starting the run my sisu spirit was still high and I had intention to do my everything to catch as many in front as possible. I did feel quite good during the first lap, but on the second one I started having some pain on my right foot. On the second lap I found myself sitting on the street three times trying to fix the shoe laces to minimize the pain. 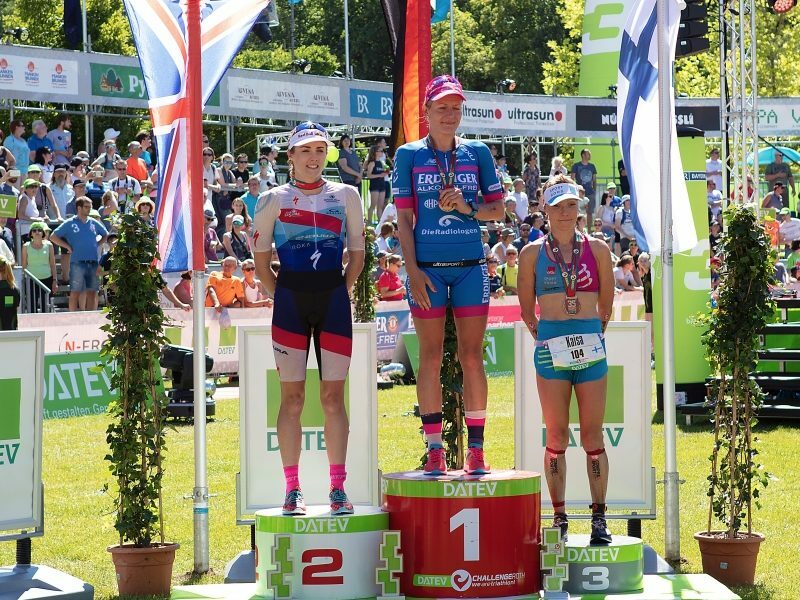 Eventually it did help a little but the gap to the third girl was so big when starting the last lap that there was nothing more to do and I made the decision to save the legs a little to the most important training block of the year. It was really great to have this high level race at this stage and I am happy with my fitness level, but I feel that I still have much more to give and am eager to get it out. 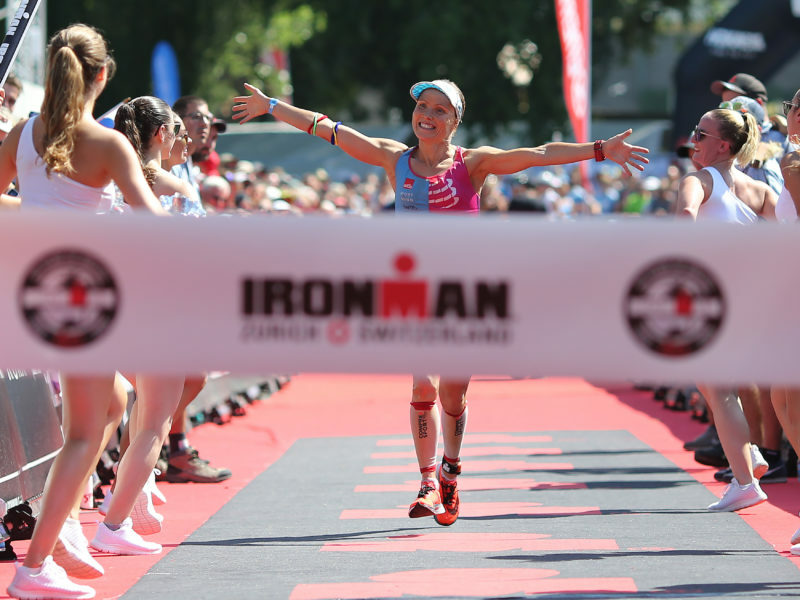 Congratulations for the women on the podium and best of luck for the coming 70.3 Champs! For me it’s back to Boulder and getting ready for the Big Island.